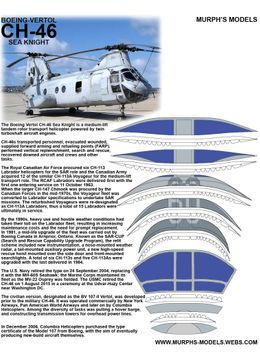 Development of the Sea Knight, which was originally designated by the firm as the Vertol Model 107, commenced during 1956. 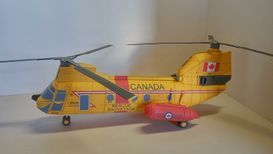 It was envisioned as a successor to the first generation of rotorcraft, such as the H-21 "Flying Banana", that had been powered by piston engines; in its place, the V-107 made use of the emergent turboshaftengine. 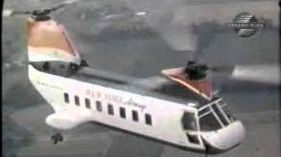 On 22 April 1958, the V-107 prototype performed its maiden flight. 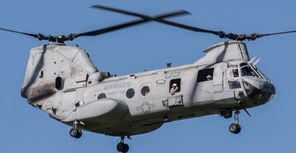 During 1961, the U.S. Marine Corps, who had been studying its requirements for a medium-lift, twin-turbine troop/cargo assault helicopter, selected Boeing Vertol's model 107M as the basis from which to manufacture a suitable rotorcraft to meet their needs. 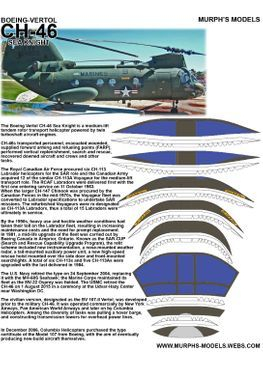 Known colloquially as the "Phrog" and formally as the "Sea Knight", it was operated across all U.S. Marine Corps' operational environments between its introduction during the Vietnam War and its frontline retirement during 2014. 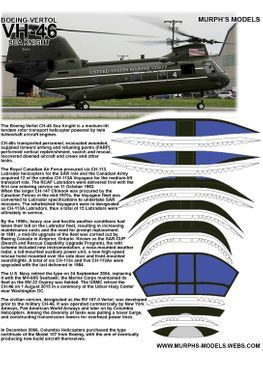 The Sea Knight was operated by the United States Marine Corps (USMC) to provide all-weather, day-or-night assault transport of combat troops, supplies and equipment until it was replaced by the MV-22 Osprey. 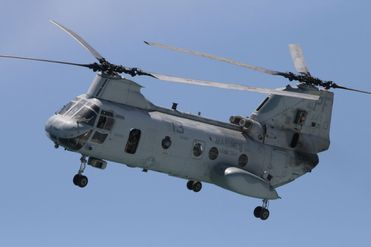 Additional tasks that the type was used for in USMC service included combat support, search and rescue(SAR), support for forward refueling and rearming points, CASEVAC and Tactical Recovery of Aircraft and Personnel (TRAP). 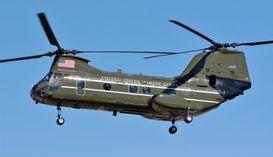 The Sea Knight also functioned as the United States Navy's standard medium-lift utility helicopter prior to the type being phased out of service in favor of the MH-60S Knighthawk during the early 2000s. 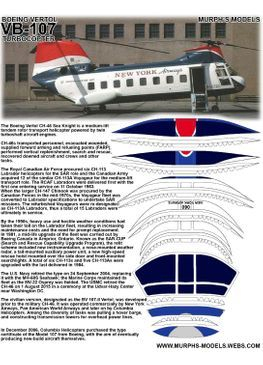 Several overseas operators acquired the rotorcraft as well. 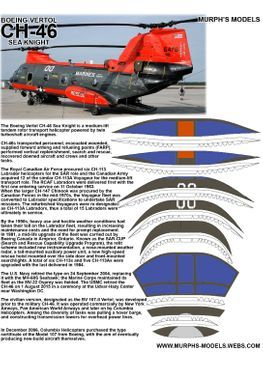 Canada operated the Sea Knight, designated as CH-113; the type was used predominantly in the search and rescue (SAR) role until 2004. 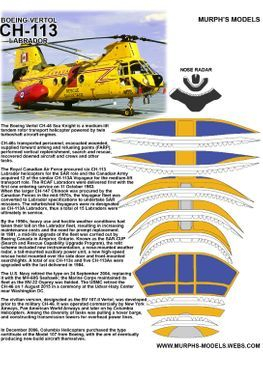 The commercial version of the rotorcraft is the BV 107-II, commonly referred to simply as the "Vertol".